Horlicks bottles without the brown powder in it? In its second campaign around the concept of 'emotional nutrition', Horlicks reiterates the need to go beyond product placement. Hot beverage brand Horlicks' latest ad film doesn't highlight the product, but, instead, it's packaging. The ad film doesn't feature a single shot of a hot mug with the beverage, make a mention of the taste or even talk about the product's nutritional benefits. The ad does, however, showcase its packaging jars which usually have a life-after-Horlicks as household containers. The brand makes an attempt to ride on the penetration of Horlicks in Indian Households. Also, as part of the campaign, Horlicks urges parents to share a 'bottle of love' by registering on its website www.bottleoflove.in. After filling out the relevant details, the brand would send an empty bottle to the mother to fill with things she wants to send and then help deliver the bottle to her child. The ad is the second instalment of the brand's #FearlessKota campaign which weaves its narrative around the academic stress on children preparing for their entrance exams, away from home at coaching centres in Kota, Rajasthan. The campaign was launched last year when the brand took mothers on a surprise visit to meet their children. This year, the brand got involved with mothers to help them deliver their children's favourite items (food etc.) to their hostels. This could be also considered the brand and the agency's attempt at building a creative franchise around #FearlessKota campaign. Also, usage of 'academic stress' and 'exam pressure' as ideas in ads is not new. Aerated beverage brand Mirinda had used a similar narrative in its campaign #ReleaseThePressure in 2017. Even Horlicks has played it up on previous accounts. The brand's brief to its agency was to make the #FearlessKota campaign bigger and connect mothers and children all over the country. Swati Bhattacharya, CCO, FCB Ulka, the agency that crafted the ad film, says that the agency used the insight that a majority of Indian kitchens do not use Tupperware or PET containers to store things. "We find the packaging (jars) of brands like Horlicks are being reused as containers in the kitchen," she explains. "Then came the understanding of the emotional gratification that accompanies food made by mothers. We looked for ways of how the brand could say that during exams or stress periods, children not only need physical nutrition that can be provided by Horlicks but also emotional nutrition, which is love. This could be in the form of a kid's favourite food or other items," Bhattacharya adds. The film was shot in 12 states with real students from Kota and their mothers. The challenge was shooting the interviews. "We would meet a mother and she would be fine with the interview, but the next day when we went to her house to shoot, she'd say that her husband doesn't want her to face the camera," Bhattacharya outlines. When asked about the agency's attempt at building a creative franchise and riding on the age-old academic/exam stress narrative, Bhattacharya responds, "Kota isn't like a single idea for us; it is more like a commitment. We need to reinvent different ways of creating a dialogue with these kids year-on-year. 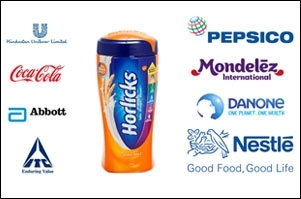 Exam stress or tension is an idea that Horlicks has worked with for the last decade." 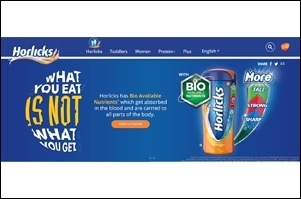 Speaking about the absence of the Horlicks product in the ad, Vikram Bahl, executive vice president - Marketing, GSK Consumer Healthcare India, says, "It is no longer limited to product placement, the horizons have now expanded to how a brand connects with the audience and resolves an issue at hand." Bahl reveals that Horlicks continues to remain the market leader in the nutrition segment with a 54 per cent value share (Nielsen, June'18). "While there are other campaigns around exam stress, with this campaign, Horlicks empowers parents to eliminate locational barriers and enables them to share their dose of love across the country," he adds. "Since I've gone through a similar experience, I can completely relate to the pressure and sacrifices that children in Kota would be going through. Receiving something from a loved one is something that can keep you smiling for days. The core idea of the campaign is beautiful and the #BottleOfLove is a well-executed piece," says Aalap Desai, senior creative director, Dentsu Webchutney. "The video as well as the edit don't deviate from the insight in any way and holds onto the story beautifully. The product has been placed in a way that it doesn't come across as a pain-point. It merges into the story fairly sweetly and that is what adds to the charm of the film. I think it is a bold step for the brand to use the packaging in this light. That's why this piece stands out. This is one of those good examples we can quote in meetings where something bold was done not for sales, but for brand affinity. We definitely need more of these to sell more of these," Desai adds. Amit Shankar, NCD - Publicis Capital, says, "The problem is real. Every year, lakhs of students go to Kota chasing their medical and engineering dreams. They live under immense pressure. With students taking the extreme step, the issue had to be addressed. Mothers can provide the shoulder to cry on during this crucial phase. And Horlicks, as a brand, has taken the right path by showing how much a family is needed around the individual at that time." Shankar adds, "The brand's showing of empty bottles being used for carrying food made by moms, highlights the strong emotional connect of the brand with families." Digital marketer Shubhomoy Sengupta is of the opinion that the ad is a good film for the brand, but not for the layman consumer. "The pressure of exams and kids committing suicides is a very negative thing. Kota is one of the worst places for children. It might feel good to watch the ad on a screen, but if a child is going through all this, it is not a good thing to see. Being a parent, I know what stress can do to a child," Sengupta says. "The ad fails to reach the heart of the problem that is the flaw in the education system which measures children in terms of examinations. The ad acknowledges all of that instead of striking at it," he explains. "The brand must be happy with the usage of the Horlicks jar amid the mother and child bond. The absence of the Horlicks product is a good thing. Everyone today knows what Horlicks is and the brand isn't competing. Keeping it subtle in the highly emotional area is a good thing," Sengupta signs off. Race for Horlicks: Who will benefit most?